Hobbit Smaug edition for sale, i bought it brand new from Pinball Heaven. Beautiful machine in as new condition. Has had the upgraded beast springs replaced so no trouble with those and will also come with a set of standard decals should you wish to change the look in future. Machine is out on loan at the moment from its Christmas outing, currently at Simons house so any pictures required i will contact him and forward on. Thanks for looking 6k takes it. Thanks for your comments, yes a beautiful game but i have to loan my machines out for almost half a year and i need cash to fund another project, so something has to give. Pics added, Jukebox Jim has first refusal and Jamie kowalski second and MSN also showing interest so would get third dibs. Thanks all for interest donations will follow for WOZ sale and for this if sells. A thing of beauty and one hellova deep game IMO. This was on my radar for a while but I was lucky to nab an LE last month otherwise I would have snapped this up immediately. Game is packed, compared to a Stern pro! If I had space would have liked to have given this a go in the home, as the audio and visuals are superb. Thats the only mark on it where it rubbed against a taf back box bolt when i slid it in to place (yes it was tight) the pics look worse than it is in the flesh but thats it warts n all. Yes VW Golfs are quite nice? So has your first, second and 3rd dibs refused yet, if not il take it the 1st week of March. Well Daz i got the feeling that before we all go electric why not. Its a bit of a long story but read it or not..... In October we got a recall notice on Donna's car (yes the 435D Msport convertable XDrive i bought for me and she stole off me) for an EGR cooler check. I took it in saying i was going to pick it up later that day. 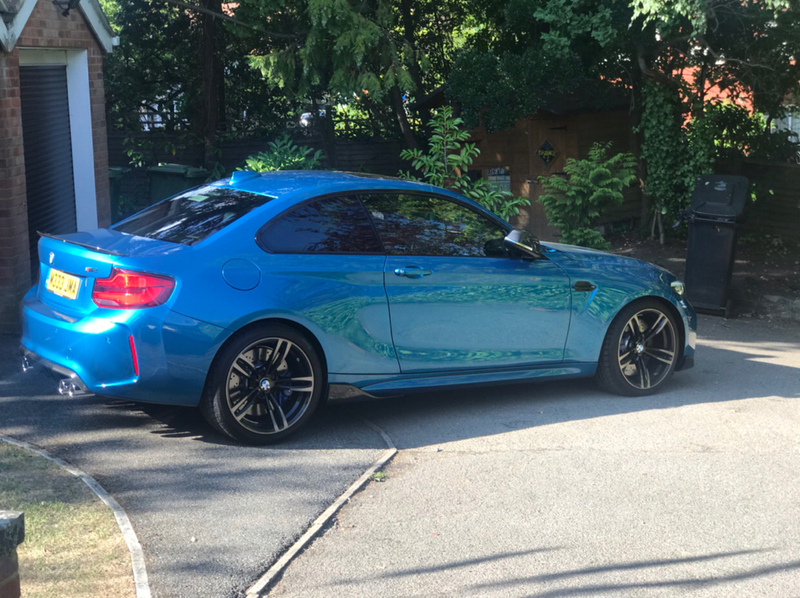 I received a call from Haliwell Jones main agent BMW saying the tool used to test the EGR cooler was broken and could i do without a car until next day when the replacement arrives from Germany. 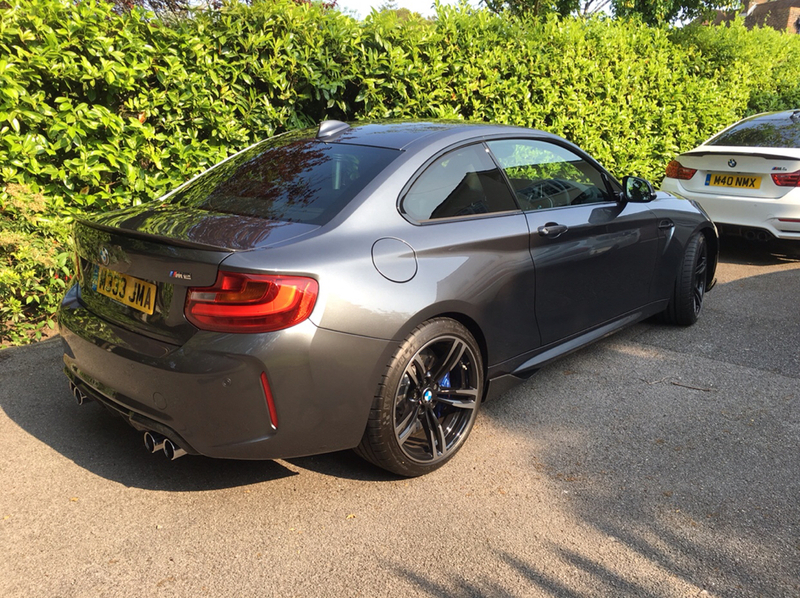 My answer was jokingly if the car you are lending me is an M2 then no i can't manage but otherwise i guess i can. Tuesday arrives and still no machine to check the EGR, now i need a car because i have a hospital appointment next morning and Donna is working 2 schemes so i can't lift share. They reply that they don't have a car and i can't have mine back as it's a safety recall and off the road but they will get Enterprise to pick me up at my house next morning to take me to their depot to get a car. Wednesday arrives and the Enterprise man knocks the door, takes me to the depot and goes all around the car with his damage identifing tool and informs me any extra damage on it when i bring it back is £250 a pop. Donna is lucky enough to be using my car and what do you ask is my ride? going from a remapped 535d Msport and a 435D msport i am now in a Vaxhaull Corsa!! 0 to 60 is a calander to measure, not a stopwatch but i think hey, i get mine back tomorrow. Get to work and recieve a call from Gareth the workshop manager that the tool has finally arrived....... with the wrong camera attached so is no use but not to worry, another is on the way from Germany. Next day i get another call from Gareth, the tool has arrived and we checked your EGR and unfortunately it is one of the faulty ones.No worries says i, it's only 10.30am, you will have that swapped for 4.30pm won't you? Unfortunately not, we don't have any in stock. Really???? a recall from October and not one on the shelf????? We can only order one in when we find a faulty one, from Germany....... how long i ask....... 3 weeks he says...... three weeks!!!!!!! i ask........ well i want another car because that Corsa is the biggest pile of uncomfortable crap i have ever driven!!! Sorry we don't have any cars and neither do Enterprise..... WHAT!!! !....i say, that's like me phoning McDonalds and them telling me they haven't got any burgers!!!! So i am now driving a Corsa for 3 weeks until we get Donna's back and she has mine because she couldn't possibly drive it as it uses a stick think to change the gears things! So i started looking, test drove one at Evans Halshaw fords, fell in love, had to have the LCI version, found one and put the deposit down. So basically it's all Gareth's fault!! Hey Adie, my car went in yesterday for exactly the same thing! Guess what? Yes mine has the leaking EGR cooler and mine is the type that is on worldwide backorder! They told me it could be up to six bloody weeks! They said I can't have my car back due to safety reasons. Can I get their courtesy car back and they'll send me home in a taxi . They said Enterprise will ring and arrange a rental car. They did ring me but I'm still waiting for them to find me a decent car. I asked for a Range Rover Sport but for some reason they said I can't have one?? Put your foot down with a firm hand and tell them you want an equivalent model! Or complain to BMW. Yeah, make sure you do complain about it and get a decent car from them or a decent deal on the M2 atleast! Classic cars the way to go ... ??? Agreed, love my classic mini. Currently having a 200bhp turbo engine built for it. I tried but couldn't see any cars? How old does it have to be to be a classic car? And hopefully future classics, a supercharged Yaris ?